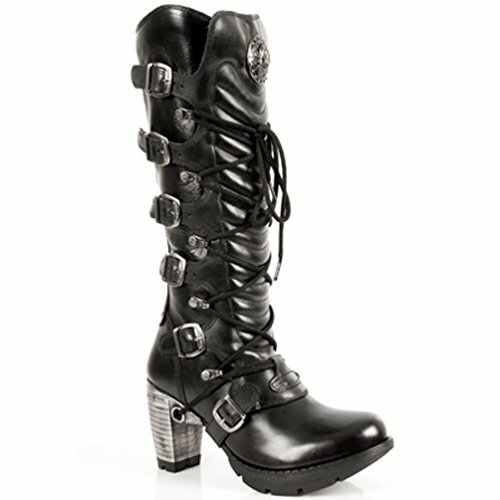 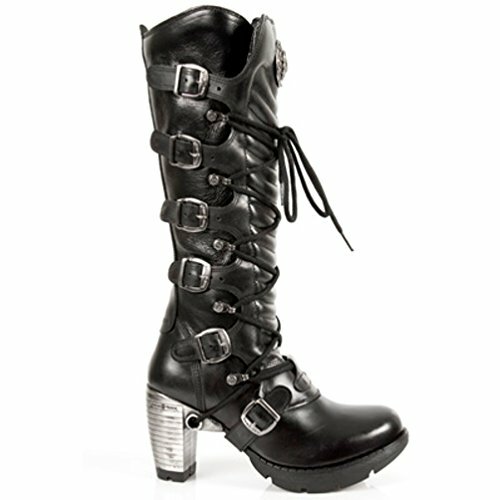 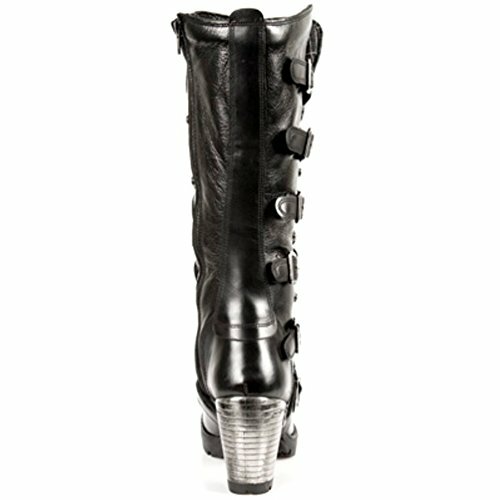 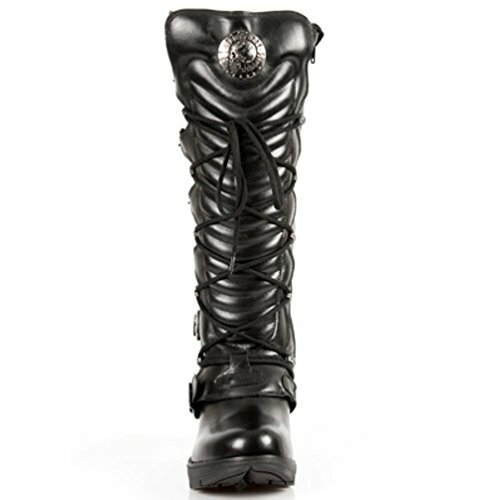 Gender: WOMENS - Fashion Style: PUNK, HEAVY, ROCK, URBAN, GOTHIC - Style Type: HIGH BOOT - Colour: BLACK. 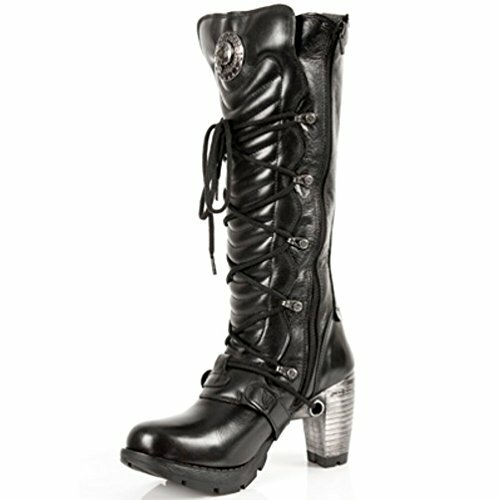 Shaft Height: 35.00 cm - Calf Circumference: 37.00 cm - Shoe Fastening Type: LACE UP, SIDE ZIP BUCKLE - Heel Type: NORMAL - Heel Height: 8.50 cm - Platform Height: 2.00 cm. 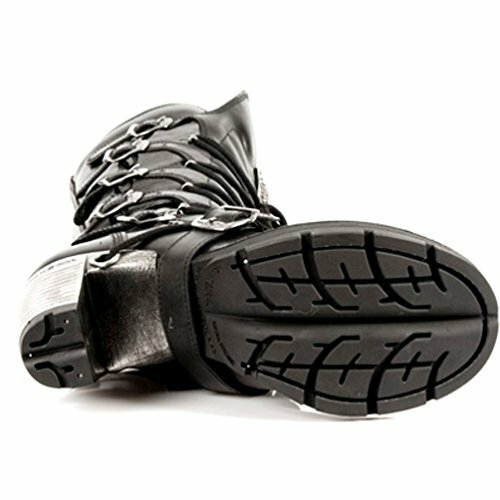 Inner Material: PIGSKIN - Outer Material: BOVINE LEATHER - Sole Material: TPU - Sole Fixing System: STUCK.